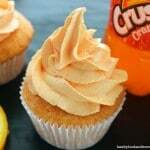 Soda flavored cupcakes are fun, delicious and a big hit at any party. Since you loved our Orange Crush Cupcakes we are bringing you a recipe for Cherry Coke Cupcakes that we are sure you’ll love. Simple to make with a box mix and some additional ingredients you can get the kids involved in baking them. Plus with only a bit of the coke in the mix, you have a drink while you are making them! So grab a box mix, these delicious add-ins and get ready for a taste experience you’ll love. The easy part about these cupcakes is you make them with regular coca-cola and cherries. Bringing a fresh cherry taste with all the flavor of a Cherry Coke. Line Non-Stick Muffin and Cupcake Pan with paper liners. Make batter according to mix direction EXCEPT you need to substitute 1 cup Coke and 1/3 cup cherry liquid for water. Whip butter, coke, and cherry liquid and gradually add powdered sugar. You can optionally add red food coloring to get the desired color. Transfer frosting to a piping bag and frost each cupcake. 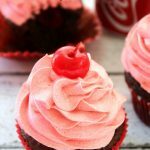 These Cherry Coke Cupcakes are perfect for any occasion and are made from a simple box mix plus some delicious add ins. Make batter according to mix direction EXCEPT substitute 1 cup Coke and 1/3 cup cherry liquid for water. Whip butter, coke and cherry liquid and gradually add icing sugar. You can optionally add red food colouring to get desired colour. Top each with a maraschino cherry. Looking for more awesome cupcakes? 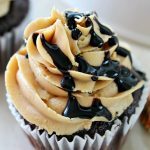 Check out our crazy cupcake recipes at Happy Hooligans. So much fun! 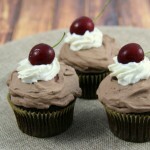 The best part of these cupcakes is the delicious cherry coke taste without an overpowering flavor. It’s a hint of your favorite soda in a perfectly light and delicious cupcake. We know these Cherry Coke Cupcakes are the simply the best coke flavored dessert out there. 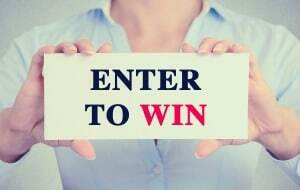 Give them a try and let us know what you think. Uh oh you hit my weakness chocolate and Coke! This looks like an amazing recipe! I so need to make this! Mama to 5 BLessings recently posted..BODYARMOR Is Our Family’s Preferred Sports Drink! Those look delicious! Everything about them is great, from the color to the fact that you used CHERRY COKE! Yum! Five stars! OMG, those sound beyond amazing. I definitely need to make these. Those look very good! I would have never thought to use coke for cupcakes. Sounds very yummy though! These look yummy. What a fun recipe idea! Wow! Those are unique! I can’t say that I have ever heard of Cherry Coke cupcakes before. I will have to try them! Oh yum, I want to run my finger through the frosting on those. They look delicious! If these taste just a fraction as good as they look…Oh MY! Can’t wait to try. Oh the Coke and maraschino flavor sound perfect. I’d love to make some of these pretty cupcakes! These cupcakes look delicious!! I never would have thought to bake with soda like this! Mmm, these look really amazing! I’m a cherry coke fan, so I can only imagine how delicious these taste! Yum! I adore cherry coke. These cupcakes look amazing! These look tasty. I love cupcakes and cherries. ooh what a nostalgic treat for summer bbq’s! i’m going to pin this to use on the 4th of july! candice recently posted..Potty Training Take 2 with Pampers Easy Ups! Oh I bet these are good! These would be a great pot luck treat or bake sale item! This looks so delicious. I will have to try making this recipe this weekend for my BBQ. I am sure my guests will love them. Oh my my mouth is watering looking at this cupcake. I am going to try making these tonight. They would be great for a birthday party. Do you have a british friendly version of recipe..can we even get cherry flavouring here? It looks like you can! http://www.coca-cola.co.uk/drinks/coca-cola/coca-cola-cherry/ but if not maybe add some cherry extract and use regular coca-cola. Question?? In the ingredients list for the cake you have 1 cup water but in the directions it says substitute with the come and cherry liquid. Do you also add the 1 cup water?? Sorry that was an error – it is fixed now. Thank you for letting me know! I’m a little confused. The recipe calls for regular Coke right? I read others comments and they all seem to think it calls for Cherry Coke. Now I’m wondering if I’m misreading it. Please help. The recipe is for regular Coke and the cherry flavours come from the cherries. I’ve just started seeing this, how did I not think of it? So good to eat, if not for your teeth. My brother loves Coke so I will definitely be treating him to these. These look fantastic! I think my kids would make quick work of them! LOL. why do people give 4 and 5 stars if they haven’t made the product yet? How would you know how they tasted! I think it’s because they like the recipe! project on the inventor of Coca-Cola! I snuck one tonight and it was amazing!!! I really hope the kids love them! I did however change one thing, instead of putting a whole cherry in the middle I used a lemon press and mashed the cherries and then added them to the batter. I loved that you got little pieces of the cherry bits in each bite. Mmmmm! Sounds like a delicious combination. Thanks for sharing this recipe–I’ll definitely try it! Those look so amazing! 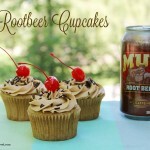 I’ve had Dr. Pepper cupcakes, so I’ll have to try these! 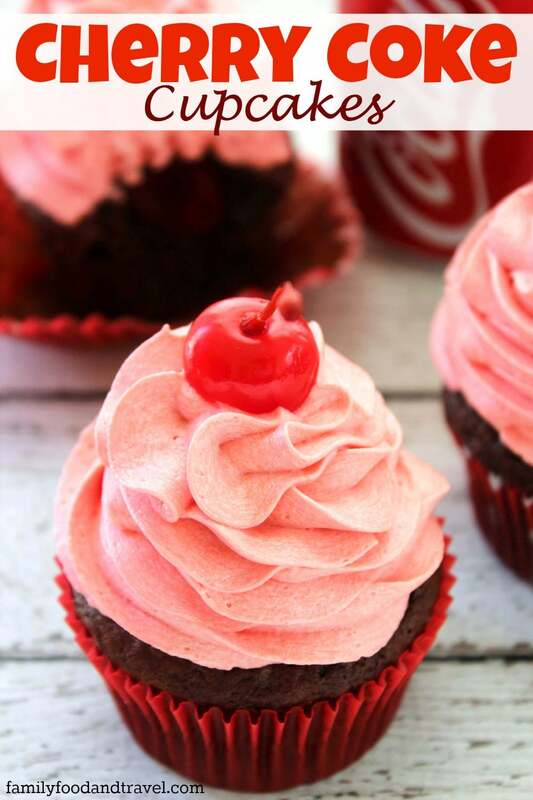 These cherry coke cupcakes look like a delicious treat to enjoy. I’ll have to try to make them next week as a special treat . These look so darn good! I love a good cupcake–especially pink ones. I definitely have to try some of these. The cherry inside is so fun! I’d love to make a batch for Valentine’s Day. Wow, so delicious and unique! As a big fan of maraschino cherries, I think I would adore these creative cupcakes. I’m a huge fan of cherry Coke and of cupcakes. I think this recipe sounds like a winner. Oh my goodness! This is a cupcake that my kid will go crazy! We should try it for Valentine’s Day! Oh I love cherry coke! These must be AMAZING! I would love to give them a try! These look delicious and would be perfect for Game Day or Valentine’s Day! My daughters would love to help bake these. Yes! Perfect for game day and a great recipe for kids to help out with. These look so delicious! 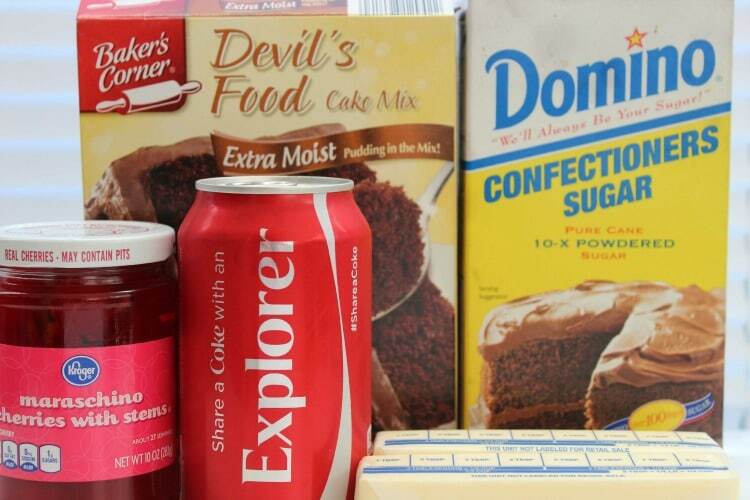 I’ve wondeted for years how cake or cupcakes would taste with a substitution like Coke. Brilliant idea. Also I just read that the maraschino cherry liquid is used too. I never thought of that. I’ve got these pinned for a Valentine’s Day picnic with my kids! These look amazing,have always wanted to try making them. Thanks so much for the recipe.